Officials responded to an anonymous call saying three armed men had entered a Miami Gardens home. 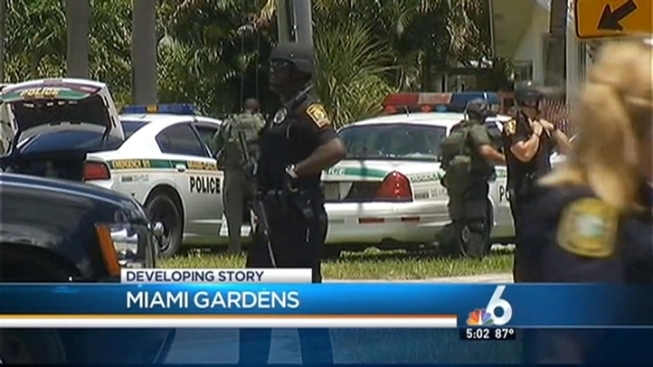 A Miami Gardens neighborhood was back to normal Thursday afternoon after a few tense hours when police had it on lockdown as they investigated a reported home invasion. Authorities received an anonymous call saying three armed men were dropped off by a gray Nissan before entering the home at 2045 NW 206 Street, according to Miami Gardens Police. SWAT teams were on scene and the house was blocked off and a large perimeter set up for several blocks. The Robert Renick Educational Center was put on a precautionary lockdown. Special needs students were in class at the time, but they were bused to another location where they were picked up by their parents. But when police eventually went in the home, they found no one inside. The owner said it was better to be safe than sorry. She said she was glad that police followed protocol and that no one was injured.